I have now gone through all of your book and several sections more than once, a great resource and one which I can see myself returning to time and time again. 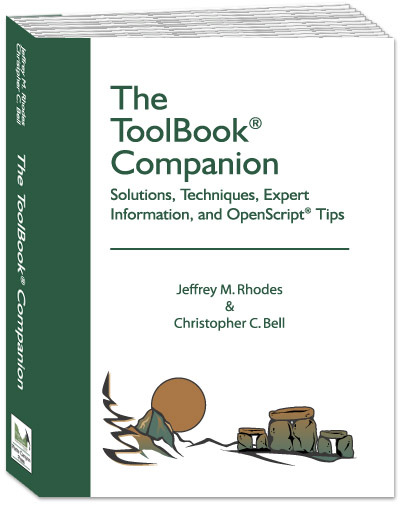 It's a real must for any ToolBook developer. 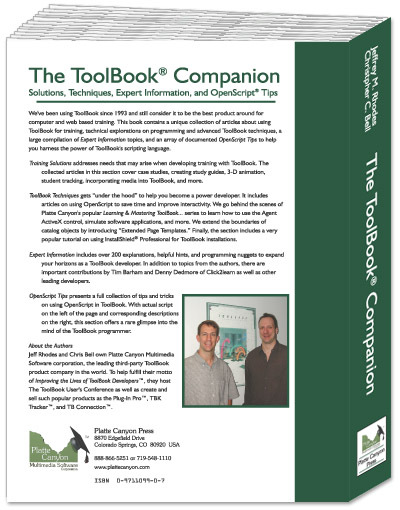 The book is simply excellent, reflecting both your professional dedication to your art and love for what you do. Got mine last week. More of a coffee table book than a racy thriller. Seriously, it is excellent .... worth every cent/penny.